Excellent customer service ? Diego was great answering all my questions and easy to talk too. Deborah G was wonderful!! She listened and gave me extremely good suggestions!! She is a credit to her company! I signed up with CuraDebt on a Friday, cancelled it on a Monday after reading horrible reviews and receiving a contract with undisclosed payments. I have 3 emails from them stating my contract was cancelled. Today they took money out of my account!!! DO NOT USE THIS COMPANY! The debt counselor that I initially worked with is named Christoper E. When I contacted him on Monday to cancel the contract, he was livid. He told me that I used my Veteran Disability way too much to justify my problems. He yelled at me on the phone saying I wasted 2-3 hours of his time knowing I was going to cancel. STAY AWAY FROM THIS COMPANY!! I received terrific customer service. The staff really took their time in explaining everything to me. 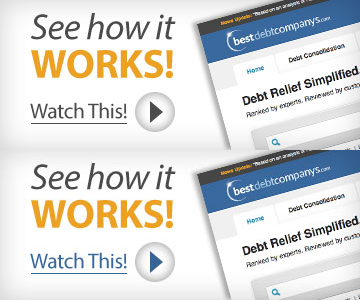 I highly recommend them to anyone needing debt help. I can not say enough positive things about Curadebt. Both Sharry Z and Julio’s customer service has been outstanding. They are attentive and make me feel like I’m there only customer. Choosing Curadebt has been one of the best decision of my life. They are helping me get back my financial freedom!!! I was a little concerned when first enrolling in this program. Prior to finding Curadebt, I had spoken with other debt relief companies, and they always made me feel worse than I already did. When I would express concerns about not being able to meet the monthly payment they suggested, they would either stop contact with me or try to scare me into accepting their offer. But then I found Curadebt and Zac F. He took the time to clearly explain everything to me, as well as my options so that I could stay within my budget. He has been extremely responsive any time that I’ve reached out. I know that I am not the only person that these reps are working with, but Zac definitely made me feel like I was the most important. I’m only in the beginning stages of the program; however, it is nice to finally see a light at the end of the tunnel. Deborah G has been amazing! Every question we’ve had, if she didn’t have an answer she did research until she found one. She has helped us through every step of this process so far, she is super friendly and knowledgeable. I am glad we found Curadebt and Deborah! I’ve only just started with CuraDebt. However, I can say that their customer service is outstanding! I’m looking forward to a good working relationship. A RELIEF TO BE IN THE PROGRAM . MARLENA M HELPED US OUT. SHE EXPLAINED EVERYTHING AND ITS A RELIEF OFF OUR BACKS . Curadebt has been great! Zac is so easy to work with and has made this whole process feel easy and not terrifying! He is patient and understanding. He is kind and has answers for all our questions! We have been so happy with our overall experience! Thank you Zac and Curadebt! I first called Vincent with a serious fraud problem.I explained to him what had happened to me and in a calm voice he said :This is what we can do for you: Well 45 minutes later I was calm enough to say to Vince “ok” do it.He set everything up just like we talked and now I am on the road to recovery.A long road ahead but on the road at leat.I recommend to everyone just call and talk with NO obligation what soever. Mr Diego was really helpful and informative. He did a top notch job.